A cookbook series featuring southern Greek-island recipes by Mary Halkias-Staikopoulos and Kalliope Halkias. Meze (Appetizers & Petite Plates) and Spreads & Dips, now on Amazon. Written, edited, and tested by Kelly Salonica Staikopoulos with Joanne Staikopoulos-Marzella. The concept for this journey began with a woman’s passion for the art of cooking. That woman was our mom, Mary Halkias Staikopoulos, who was affectionately called “Kukla,” the Greek word for doll, by those closest to her. Mom possessed the innate skill to take dishes to their highest potential, a talent she inherited from her mother, Kalliope, who was born and raised in Volada, a hillside village on the Dodecanese island of Karpathos in Greece. Our “kouzina,” the Greek word for kitchen, was where our admiration for superb food was born and where we learned to appreciate our mom’s unique way with cooking, Greek island style! Known as “Mary the Greek” for more than three decades up and down New York City’s Seventh Avenue by most of the fashion industry’s top designers she worked with—including Halston, Carolyne Roehm, Vera Wang, Donna Karen, Carolina Herrera, Oscar de la Renta, and Oleg Cassini—but those who loved her simply called her “Kukla.” She first bestowed this nickname on all her “girls,” the ladies she worked with, and she ultimately became their doll as well. It was a term of endearment that we all adopted. 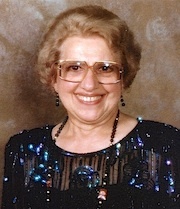 To us, “Kukla” was our teacher, our inspiration, and our much-adored mom. We started writing this cookbook with our mother in 1997 but, unfortunately, she was diagnosed with cancer one year later. During that year before her diagnosis an ominous feeling compelled us to learn not only how to read her Greek script, a challenge to be sure, but also to record measurement amounts for typical Greek recipe terms like “a handful”, “1 wine glass” or “1 water glass”—the most daunting being “1 little plastic cup.” Without the insight to do this one simple thing, these recipes would have been impossible to re-create. In that one year we learned all her secrets, which directed us to a vision for a cookbook…her cookbook. Though our mom didn’t survive to see it completed, the dream that was born in our Brooklyn Heights kitchen so many years ago still lives on in us and in her grandchild, Jackie. We're four generations of KUKLA’S KOUZINA cooks, and counting! The history of Karpathos, the motherland of our recipes, which dates back to 2500 B.C., was occupied by various civilizations--including the Minoans, Mycenaeans, Phoenicians, Dorians, Romans, Venetians, Ottomans, and Italians—together they intertwine to form what is now known as Karpathian cuisine. This book features over 150 recipes that explore this diversity of flavors and culture, bringing bold nuances to this Mediterranean fare. This is unlike any Greek or Mediterranean cookbook published, because of our mom’s customization of these foods making them first-time originals. Recipes for holidays, as well as every day, make this a cookbook for all seasons. KUKLA’S KOUZINA: A Gourmet Journey~Greek Island Style is enticing, delicious, rich, vibrant, inspiring, and at once a piece of evolving history, a life-renewing force for the reader, and an eternal tribute to the magical talents of the woman who made it all possible! ​Kali orexi! Καλή όρεξη! Good appetite! Kelly Salonica Staikopoulos is the author and editor of KUKLA’S KOUZINA: A Gourmet Journey~Greek Island Style, and the website mistress and blogger for kuklaskouzina.com. Kelly is also a cohost on Kukla’s Kouzina’s YouTube cooking channel. Kelly has been a contributing food editor and writer for more than 15 years, working with a number of national publications, including Ladies’ Home Journal, Working Mother and ReadersDigest.com. 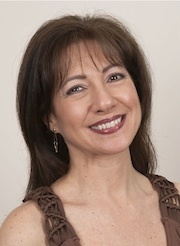 She has developed recipes and written food articles for Woman’s World, Ladies’ Home Journal, and ArrivedRichmond.com. Kelly is also a travel and entertainment writer whose articles have appeared in American Way, Country Weekly, Ladies’ Home Journal, Backstage.com, CountryStandardTime.com, and Chef’s Edge (Chefs de Cuisine Association of America). Kelly's artistic talents are clearly inherited from her mother and proudly displayed in her paintings, sketches, and of course food styling, some of which will be featured in this cookbook. She learned how to make bread at the age of 10 from her aunt Frances and baking immediately became one of Kelly’s passions. So when it came to making bread, decorating a cake, or jazzing up a piecrust for a pita, she was assigned that duty by the boss, Mom! As a result, the most-requested recipes that Kelly created and perfected appear alongside Kukla’s in various chapters of this book. Kelly and her sister Joanne are thrilled to honor their mother's culinary legacy and to share their incredible recipes for everyone to enjoy. Kelly is also an actress and has recently appeared on CBS’s Person of Interest, the CW's The Carrie Diaries, and the upcoming The Amazing Spider-Man 2.  Joanne Staikopoulos Marzella is a recipe tester and developer for KUKLA’S KOUZINA: A Gourmet Journey~Greek Island Style as well as the business manager. Joanne is also a cohost on Kukla’s Kouzina’s YouTube cooking channel. Joanne is married with a daughter and two stepsons. She spent the bulk of her professional life as an Executive Vice President and Chief Financial Officer in the advertising/media field where her client-base included Toys “R” Us, Tyco, Mattel, Milton Bradley, and Pressman. Eighteen years ago, when she and her husband Vincent had their daughter, she embarked on a new career as mother and role model for little Jacqueline Maria. Joanne's focus is now on enriching her child’s life with the roots of her Greek heritage, of which her grandma Mary’s culinary treasures and memories are certainly an important part. Joanne’s stepsons, Matthew and Daniel, adored Kukla and have always embraced her way with food. While both enjoy eating, Daniel takes it one step further by rolling up his sleeves and whipping up a few Greek dishes of his own. Joanne’s creative touch in the kitchen has enhanced KUKLA’S KOUZINA: A Gourmet Journey~Greek Island Style with her inventive recreation of some of Kukla’s recipes, such as Stuffed Tomatoes and Peppers, into vegetarian/Lenten versions that everyone can enjoy, while also providing a number of tasty fasting options. Suffice it to say, when Kukla’s dishes are on the dinner menu, there isn’t an empty seat at the table! Jacqueline Maria Marzella is a graduate of the Young Chefs Academy in New York, making her a valuable asset to our test kitchen. Jackie is a college freshman, a competitive swimmer, and enjoys acting, dancing, and singing. 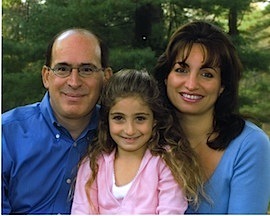 Jackie cooks alongside Kelly and Joanne, and also joins them as a cohost on Kukla’s Kouzina’s YouTube cooking channel. There are many Greek foods Jackie loves to make but two stand out on her list of favorites: bread (our Grandma Kalliope’s Christopsomo recipe) and Christmas cookies (our Kukla’s Finikia, Kourambiedes, and Koulourakia). The bread is a favorite because she has been instinctively kneading it like her Grandma Mary since she was two years old when introduced to it by her aunt Kelly (who also learned the art of bread-making from her aunt, at the age of 10); the cookies because she has been our official sugar-duster and nut-sprinkler since she was four—plus she always gets her own piece of dough to cut out and decorate in Christmas shapes, such as stars and camels, just like her mom and aunt did at her age. And we never have to worry about over-baking—from the moment Jackie could speak she’s been shouting out “COOKIES!” whenever the oven timer goes off…just in case we didn’t hear it. Early training in the kitchen combined with coming together to share in the making of these family recipes have instilled in us a deep appreciation of our heritage and of one another's innate abilities. The camaraderie, the respect, the teamwork, and the love forged in this longstanding family tradition have built the foundation on which we all rely to keep us grounded as we move forward, while keeping our Kukla’s legacy alive!